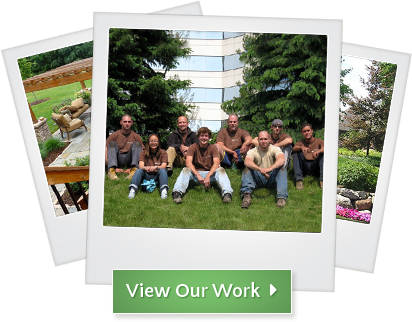 Treasured Earth is a full-service landscape design / build firm. With offices in Ann Arbor and Whitmore Lake, we do business throughout Oakland, Livingston, Washtenaw and Western Wayne counties. In business for 18 years, we’re still a unique, focused company. We only do one thing: custom outdoor environments. From very large, complex multi-stage installations, to a simple re-landscape or backyard paver patio - we work very closely with our clients to deliver very special outdoor spaces. Eighteen years ago, I was making a pretty good living working as a project manager in a cubicle on the 6th floor of an office building. In between meetings and emails laced with corporate jargon I didn’t really understand, I would look outside at a park across the street. Why were most of the outdoor workers there always smiling? I had worked in landscaping all through college, and I guess I smiled a lot during those days too. But I certainly wasn’t smiling now. My current position had become, shall we say, less than inspiring. In the 18 years since, we’ve been truly blessed to have some of the best Clients and projects I ever would have imagined. We’ve worked on huge outdoor entertaining rooms, eccentric theme gardens, outdoor wedding facilities and months-long luxury landscape installations. All along the way, our goal has been to get people truly excited about their outdoor spaces (and to start expecting MORE from their landscape professional!) My guys take a whole lot of pride in their craftsmanship, and in your satisfaction. And I take very seriously the trust you bestow on us when we work for you. One other thing: you need to be WOWED when we’re done with your yard. We are depending on you to refer us to your family and your friends. That’s how we work, and we will not let you down. That’s a promise. So browse around a bit. View our portfolio, take a look at our credentials, read some testimonials from our clients. Satisfy yourself that we know what we’re talking about. Because if we don’t earn your trust, then we don’t deserve your business. Thanks for visiting, and I hope we can help you bring your landscape ideas to life!